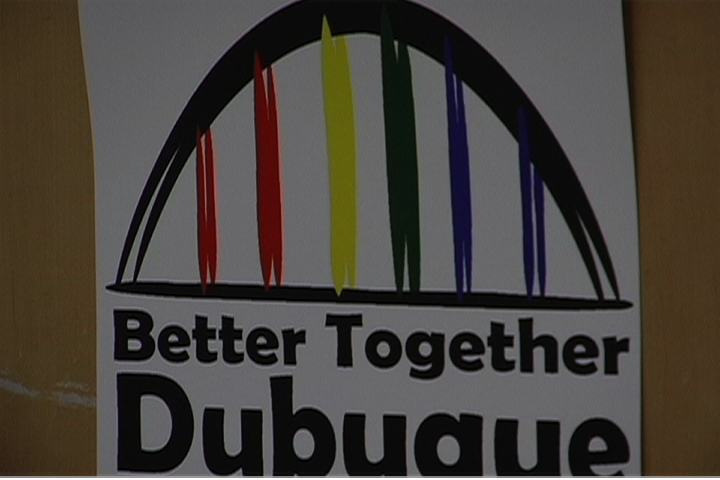 DUBUQUE – Dubuquers have mixed feelings today after the result of a City Council vote to not move forward with a sidewalk installation project along JFK Road. Residents packed the City Council Chambers Monday night for a public hearing on the issue. For almost an hour and a half, resident after resident came to the podium to voice their support or concern for the sidewalk. Those in favor of the sidewalk cited safety, including one father and daughter who took to the podium. On the other hand, those against the sidewalk mentioned unnecessarily high costs. “I guess I’m just not understanding why there is a need for these expensive sidewalks and retaining walls,” said one concerned citizen. The issue needed a unanimous vote to continue moving forward. After almost a half hour of discussion among the city council members, the vote ended 5-2 in favor of the sidewalk, ending potential progress on the project. The vast majority of the audience left after hearing the decision, some at peace, some upset. No further action may be taken with the sidewalk until a new City Council takes office.